MINI GLASS FUSE. Buy quality Auto and Marine Electric Parts and Accessories online, Sydney. 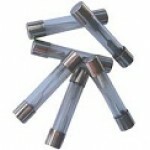 GFM0.5Mini Glass fuse 0.5 ampM205 auto20mm x 5mm Supplied: each..
GFM1Mini Glass fuse 1 ampM205 auto20mm x 5mm Supplied: each..
GFM2Mini Glass fuse 2 ampM205 auto20mm x 5mm Supplied: each..
GFM3Mini Glass fuse 3 ampM205 auto20mm x 5mm Supplied: each..
GFM4Mini Glass fuse 4 ampM205 auto20mm x 5mm Supplied: each..
GFM5Mini Glass fuse 5 ampM205 auto20mm x 5mm Supplied: each..
GFM6Mini Glass fuse 6 ampM205 auto20mm x 5mm Supplied: each..
GFM7Mini Glass fuse 7 ampM205 auto20mm x 5mm Supplied: each..
GFM8Mini Glass fuse 8 ampM205 auto20mm x 5mm Supplied: each..
GFM10Mini Glass fuse 10 ampM205 auto20mm x 5mm Supplied: each..